We had no idea this place even existed until a couple weeks ago. 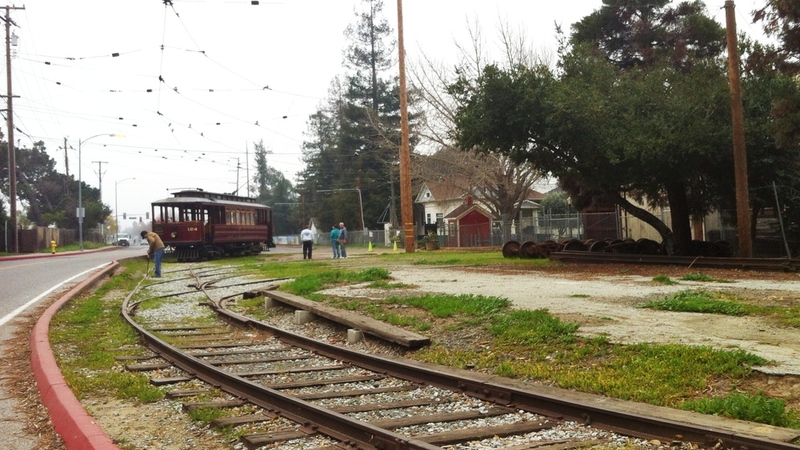 Right around the corner from Happy Hollow and across the street from the San José Giants (minor league team) is the wonderful San José History Park. 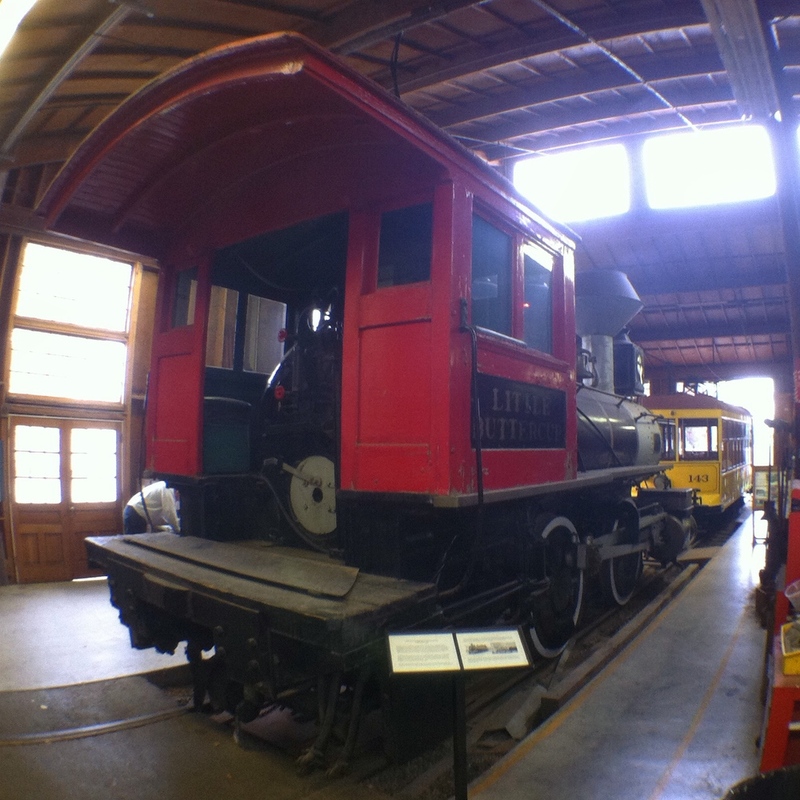 Moving historic buildings, old railroad and trolly cars, bandstand, replica of a 237 foot electric light tower (scaled to fit the parks streets at 115 feet), blacksmith, printshop, hotel, fire station, trolley barn, and a restored trolley that takes a fun short trip through the park. Entrance is free, and its a wonderful place to bring a picnic. There are plenty of benches and lots of green grass to sit on. The highlight for us was riding the restored 1922 yellow Fresno trolley which we rode at least 4 times. After making friends with the motorman and since it was a slow off season day in January, we talked him into letting us ring the bells. It was like riding around Mr. Rogers neighborhood. Having grown up in a print shop, visiting the onsite letterpress shop was really cool to see. It's run by a bunch of old printers, one of which apparently has a linotype machine (offsite). They seemed to have a couple of proof presses, and a few more traditional clamshell style presses. We visited the park at a really slow time. The houses are supported by various organizations and only operate during the summer months. All the same even in the off season we spent a good 4 hours slowly wandering around the park. The trolley barn had a number of volunteers on hand eager to talk about most anything they had there in the barn - there to answer all your train questions and more. 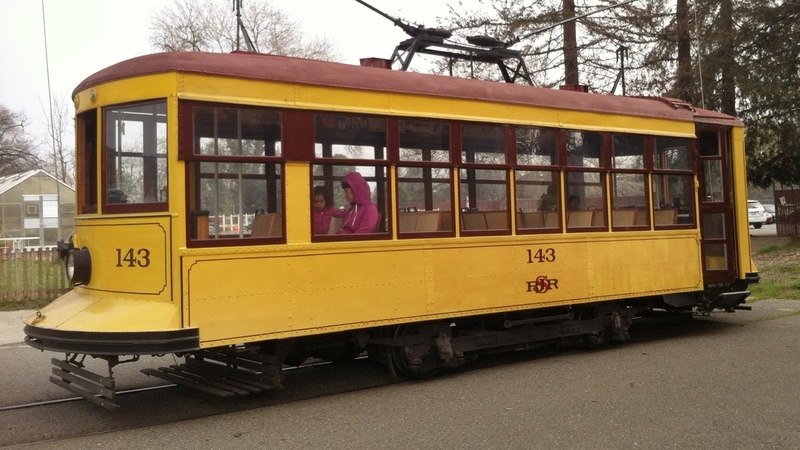 They have a collection of of old cars, track inspection vehicles, horse drawn streetcar, and other assorted trolleys. There also some cool little model train exhibits. Parking is $6 - turn off of Senter road to the end of Phelan Ave. 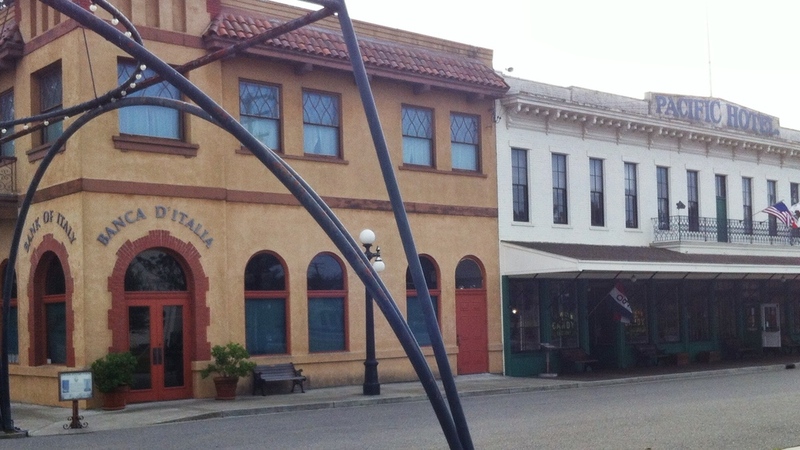 Entrance to the park is on Phelan Ave.
Trolley rides are free, but you should leave a donation. They have a donation tin at each end of the train. They also have a Johnson Fare box, so bring some coins the kids will want to drop more than one. There is a sweet shop on site that sells candy and has a soda fountain.